Once spring rolls around, and the beautiful flowers start blooming outside, I get so excited! I don't know about you, but every time I see my plants coming up from the dirt, it gives me such joy in my heart. It's almost like a promise they are keeping. They are saying, "see we told you that we would see you again next year. " This means so much to me since I am not much of a gardener. 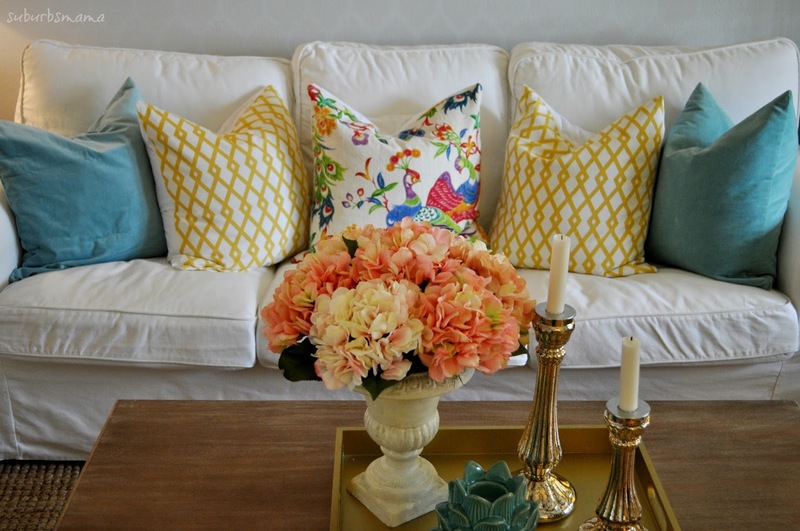 New pillow covers completely change up the space, you have so much options at the fabric store, you are guaranteed to find something you like. I saw this peacock fabric and fell in love with it, it was also 40% off! I ended paying around $40 for fabric, not bad for 8 pillows! 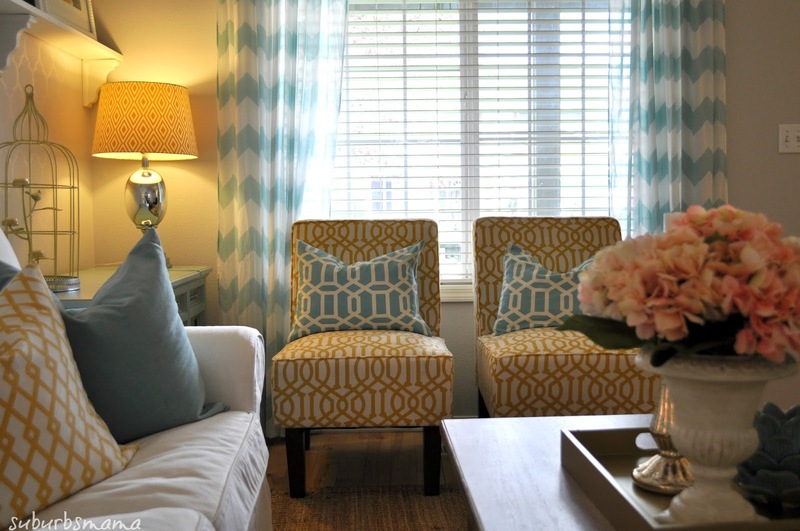 I hung up my old chevron curtains up and purchased these two new chairs from Target, which were on a major sale! I think I paid $103 per chair! Thanks for visiting my home and I hope you found some inspiration. 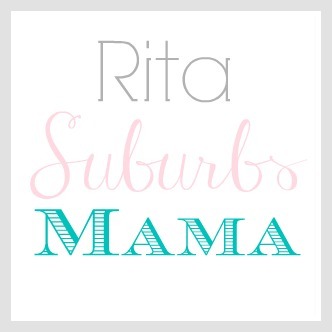 Rita, your home and your blog are both constant inspirations for me as I work to achieve a beautiful but busy home and my new blog. 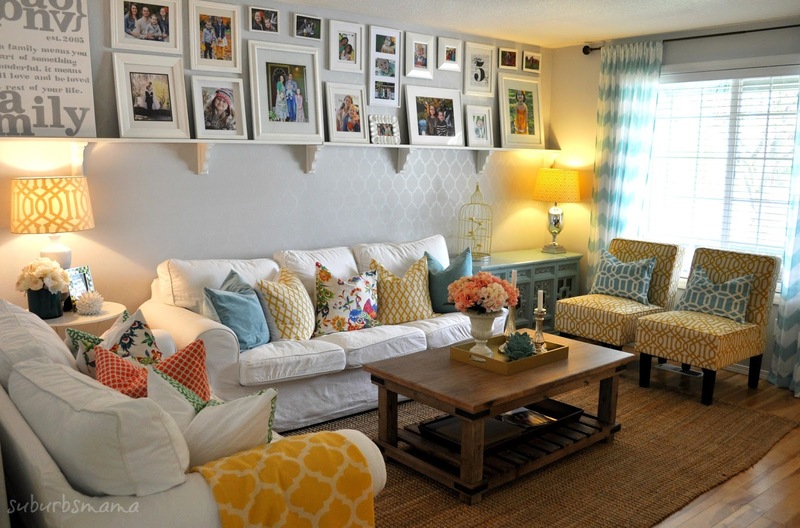 These new living room pics are just what I needed to kick start my plan to change out my couch pillows and brighten the room a bit. Love the Target chairs! What a great purchase. Happy Spring! 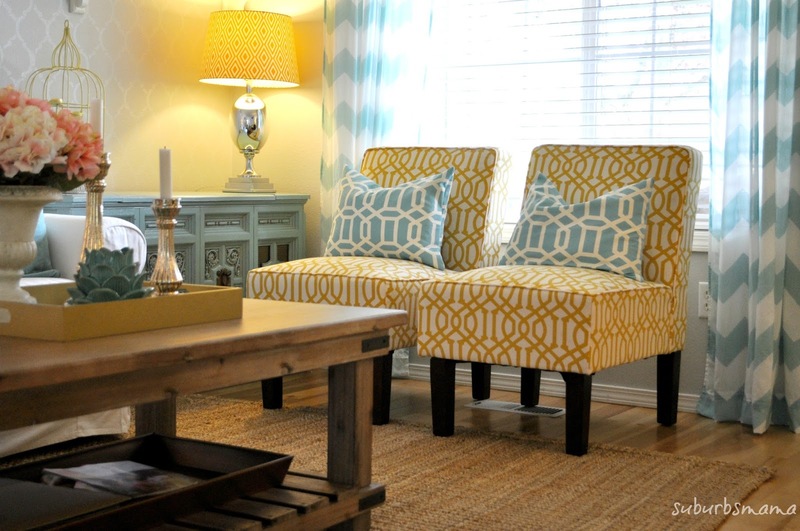 I love all the colors you have accenting your living room! I keep looking at the peacock fabric at Joanns too. 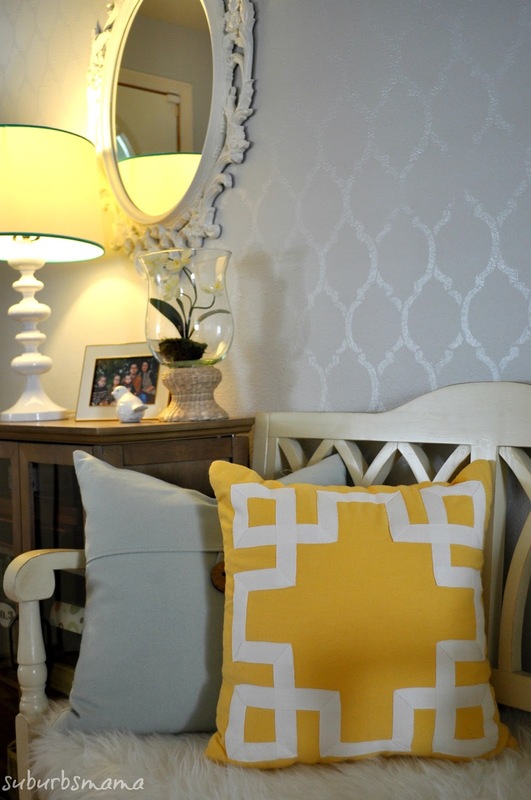 I like how you used the graphic fabrics with it. I would love to have white couches, but my two little ones are soo messy that I'd be washing the covers everyday. Stopped over from the Saturday Sparks link party. Hi Rita. 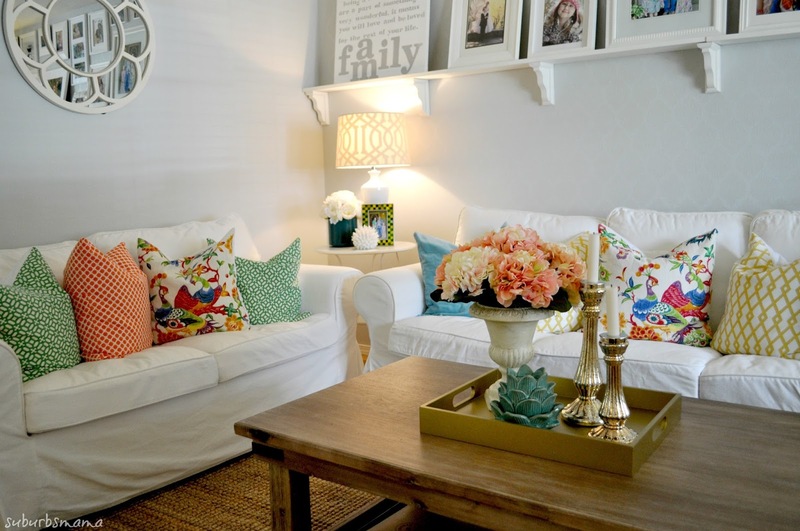 Your living room is so pretty and cheery! I'll be sharing it at The Scoop this Monday night. Thank you for linking up! Oh Rita I love the colors of your living room. And I adore you new chairs...what a steal! Thank you for sharing at SYS and have a great weekend!